I often find myself fishing with others and “borrowing” their lures especially when traveling. If I get to make a choice, I always opt for the lure with the worst finish because chances are good that lure caught the most fish because it has the best action! However, when I use my own lures, I assume the action is effective regardless of the state of the finish. If all goes well (and I catch a pile of fish) the lure will eventually need to be repaired. Fishing lures are way too expensive and hopefully hold too many memories to be discarded just because the finish is gone. 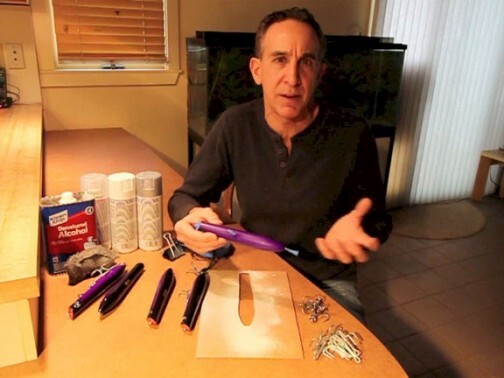 Here are step by step instructions for fishing lure repair and lure refinishing. Remove the hooks and split rings – A good pair of split ring pliers are a “must” in any serious anglers arsenal. Include some extra hooks and split rings and this ensures that you can handle any emergency repair. Use medium-fine steel wool or a Scotchbrite pad to remove any loose finish. Use an 2-part epoxy filler for any deep gouges and sand the patches smooth. Use masking tape to cover any areas that will not be painted (eyes, eyelets, etc.). Take an “After” picture and proudly share it on Facebook!